OnApp Makes Private Cloud Easy – Agile IT for Enterprise, SME and Public Sector. There’s a new way to bring cloud efficiency and flexibility to your data centre. OnApp is a complete solution for on-premises private cloud. 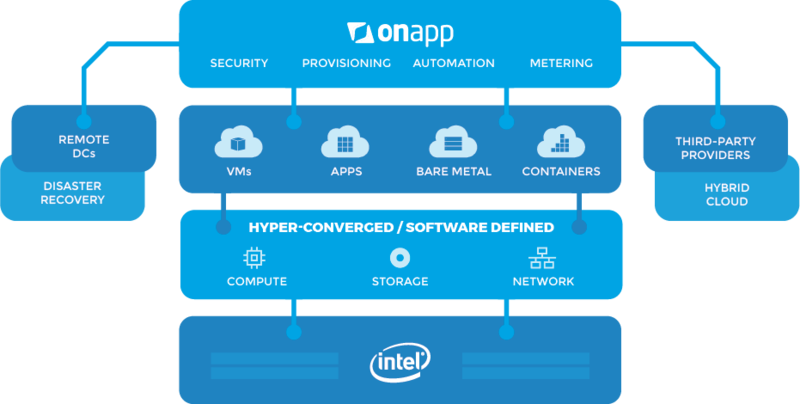 Built on Intel Data Centre Blocks hardware, and available as a turnkey appliance, OnApp makes private cloud easier to deploy, easier to use and more cost-effective than ever before. Bring cloud agility to your data centre, with secure self-service & total control across one or more locations. Manage compute, storage, networking & multiple clouds in one highly automated environment – and one UI. OnApp transforms your IT infrastructure into a fast, intuitive and highly automated cloud environment where workloads can be deployed, managed, scaled and migrated across servers, clusters, and multiple private and third-party clouds.